Ian is a member of the Canadian Armed forces, and he showed no real hint of camera shyness once the camera shutter started firing (he warned me beforehand that he might get a little shy). 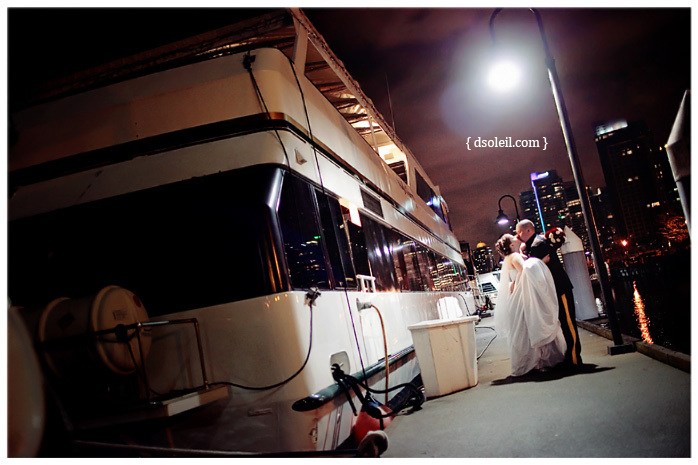 Here’s a late evening photo we quickly took after the boat docked at the end of their amazing Vancouver wedding cruise. What a great shot! So atmospheric! I love your composition too. This is a wonderful image..everything about it is perfect.